We can see from Scripture that God’s love and grace are hyper; they extend over, beyond, and above what you can conceive or imagine (see John 1:16, Eph. 1:7, 3:18–19). What you think of when you think of God’s love for you is inevitably inferior to what His love really is. So you could say that grace is what we imagine God’s love to be like, but hyper-grace is what it actually is. Counting the stars in the night sky won’t give you an accurate picture of the bigness of the universe. If you live in a dark place you may be able to see several thousand stars. But what you see is such a tiny proportion of the universe, that really you ain’t seen nothing. You have actually not seen far more than what you have seen. It’s like that with grace. You may look at Jesus and say, “I see grace,” but no matter how much grace you see, you only have a tiny glimpse of an unimaginably vast reality. Grace is what we see; hyper-grace is what it is. This is what John and Paul were trying to convey when they spoke of heaped-up, superabounding grace and love that passes knowledge. It’s what Jesus was trying to tell us when He spoke of the how much mores of His gracious and generous Father. The hyper-grace of God cannot be reduced to words or thoughts that fit inside our minds. It’s simply too big. The only way we can begin to grasp it is to see the splendor and awesomeness of God that He has revealed to us through His Son Jesus. Adapted from The Hyper-Grace Gospel, pp.12-13. Your opening quote from Psalm 36 and subsequent paragraph sum up “grace” beautifully! Keep up the good work! Our Father is always the hero of the story when our Lord speaks about him. The prodigal Father is the hero of the story of “the prodigal son”. The story is not about anything the son did. The story is about the Father’s response to what the son did. His response is to run and meet his son to repeatedly kiss him. In other words,to lavish him with Never Ending,Super Abounding Grace. How can we work to earn something from our father,as he has many hired servants who work for him in his house. Because of Jesus finished work,we have been restored back to a high position of honor as beloved children of the Father and brought back into the house and are provided for by the Father according to his riches. Not out of his riches. According means what ever the Father has,as much as he has,WE HAVE! Amen! The son does everything he can do to reject the Father,but there is nothing he can do to overcome the Father’s love. Nothing in the story can overcome Grace. The son tries everything,he can think of to earn his father’s condemnation. As hard as he works to receive the wages of condemnation,the Father restores him into the house and gives him more than he could have imagined. Instead of giving the son the wages he has earned,the Father gives him an exponentially large amount of GRACE! There is no force in the universe that is more powerful than the Father’s GIFT of Grace. Amen brother. Grace is invading the Philippines. Watch out for it is truly wonderful.Despite reluctance of some brethren and church leadres, it is my prayer that-GRACE permeates my own church .PRAY FOR US. 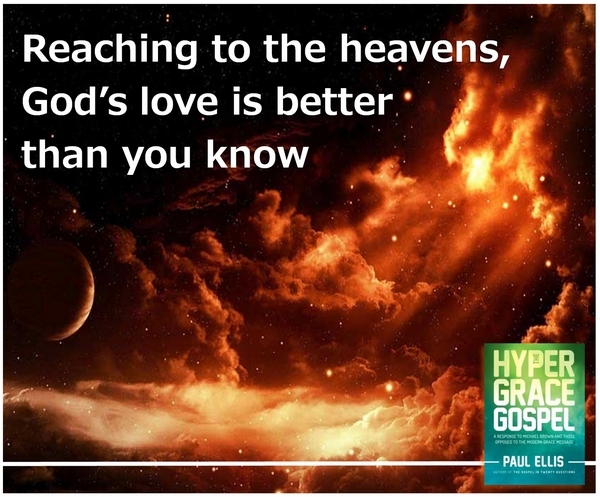 Enjoying your book, “Hyper Grace Gospel.” You paint a concise and very clear picture of the pure grace message–the Good News that always brings us great joy. Blessings. Been a Christian long enough to know when the word movement is used, it will shortly be followed with error. When we focus on only one aspect of Jesus and ignore the other, including all the other scriptures that seem to contradict our understanding simply out of fear we may fall back into something, we usually find ourselves in error. Christ and the apostles both spoke of grace and repentance. Paul preached grace to such an extent that he had to explain it was not a license to sin, but he also preached that we must put to death our sinful nature. Similar situation occurred a few years back when many in the church preached that we should completely forget about our brains and pursue God through our emotions alone. We know that although the message had some truth, such as our brains can get in the way, many have come to realize that Jesus is perfect in both arenas and both our brains and emotions have a part to play. Thus, be careful to eat the hay and spit out the sticks and don’t be one of the wounded that will be giving testimony 10 years from now of how you were wounded by the Grace movement. Accept God’s grace and mercy for you along with all the other scriptures that are meant to work together to bring us to the fullness of Christ. Emalcar I agree with your sentiment and agree that any truth can be taken to an extreme. Grace though in reality is the gospel. Grace is the person of Jesus Christ. 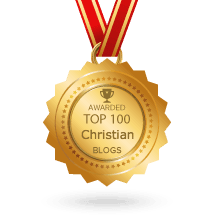 How can we go “too far” with Jesus? Listen, with the Word of Faith message that became a “movement” to some it has harmed a few. When the message gets out of balance it will harm others. How then do we “balance” grace? Do we balance grace with a little Law? Do we balance faith with doubt or unbelief? Do we balance healing with a little sickness or unanswered prayer? Do we balance prosperity with lack and financial insufficiency? Of course not to all of these. How then do we avoid the issues you speak of? By balancing all these truths with the Word of God. Grace doesn’t remove a need for faith in God. Nor does faith in God remove grace. Healing doesn’t mean we never take medicine. Why? Because the Word never instructs us to. No one can add to the revelation of grace with ideas like inclusionism or Universalism. The Word doesn’t support such teaching. The Word doesn’t support us living a life that is destructive. So living the Word is living out grace. Growth in grace also means applying this finished work and unearned love and favor to every single area of life. Blessings. Like you, I don’t like the word “balance”. Although it has its application, I have seen it used too many times in an attempt to quench the fire in others. I did not mean to insinuate we should take a balance approach. My thought is we should take the whole word of God and not simply accept the parts we believe support our position. This is, I think you would agree, when people fall into error. Accordingly, we need Grace and truth. They go together. Paul preached Grace and he preached putting to death the sinful nature. James preached faith without works is dead. We are not saved by our actions but we do have a part to play. Our will remains and we have choices to make and the choices have consequences, whether they lead to life or death. We have an obligation to say no to sin, put to death our sinful nature so that we will not be deemed disqualified. Again Grace and truth. It seems you have something to say about Jesus, but don’t say it , are you trying to say that he is a hard man and reaps where he does not sow, or alternatively that God shares his Glory.thus you should take the huge plank out of your own eye so you can remove the splinter from my eye. I have been a child of the creator of all things for three years and am not impressed or intimidated by threats . If you want me to heed your warning start by explaining what the fullness of Christ is. Tony, please see E2R’s Comment Policy if you wish to know why yours got trimmed. Thanks. Truth and grace came. Not anything else. Grace is the truth. It’s the truth that sets us free. Getting this truth in our thick heads is the only role we play in the new covenant. We’ve never had any power to change ourselves for the better and focusing on our sins and trying to change still makes us worse and is viewed,by our Father,as filthy rags. Focusing on his Grace is the only thing that works. When anyone came to Jesus with even the weakest amount of faith in him,he didn’t talk about how bad they were. Instead,he talked about how good he is and gave them credit for having great faith.Grace causes us to change and causes the Father to see us as blameless. There is nothing that we do that causes this. It is all Grace and nothing else. The good news is not that we can change if we try. That’s the same old lie. The good news is that someone else did something good for us and there is nothing for us to do but accept the gift. Once again,the Father is the hero. The only boasting that any of us can do is about how good our Father is through Christ Jesus. Amen! Love what you’ve said here Mark. Amen and Amen! How many sermons have I heard where there is a sting put in the tail of Grace that says “Grace has come! Now go and change”. Is it just me or does anyone else feel their heart sink when the goal of His grace is so often described as “You must be transformed”? It’s all about transformation”. I fully believe that we ARE transformed by Him as we behold His glory – we become what we behold in His matchless person and perfect work – but it so often feels to me like His love and Presence are being given an agenda: God loves you so that you will change. I would be heartbroken if my husband told me that was the reason why he loved me! I’m not eating the poisoned apple of “You are loved so that you will change” any more. God loves without any agendas. When I just let God love me without any pressure or goal to change, I have come to believe I am allowing Him most to be God to me. God is LOVE, after all. His invitation is to “be still and know”……. Amazing things happen in His undemanding love Presence. Just look at Zacchaeus!. When we stand up and work to change ourselves,our Father sits down and rests. When we sit down and rest,as Jesus is, our Father stands up and works in us to change us while making all our enemies our foot stool. If we struggle to change,it’s because we are focusing on our sins. If we operate in this manner we are saying that Jesus’ work was ineffectual. Jesus had a habit of healing on the sabbath/day of rest. We can’t receive healing when we work for it. This is why none of the pharisees were healed. They felt that they deserved to be healed because of there “good works”. There is no work for us to do at all. We’re not made righteous by works. It,s a gift. Because of this gift we ARE spotless and blameless. As he is,so are we in this world. Because we ARE blameless we can come to our Father with boldness like a child. When our Father comes home from work,we can and will run to the door to meet him and shout Daddy Daddy!. Why? Because he is our loving,providing,protective Father. We have no reason to think that he might be coming home to punish us. We ARE his beloved children. Our Job Is To Believe this. This is why it is called the good news of Jesus Christ. If He tells us that we still need to work to receive his favor,we would have to call that the same old bad news. Paul said that anyone who preaches any other gospel than the gospel of Grace,let him be accursed. Then he repeated it a second time. GRACE is the truth that sets us free! Amen! Now that’s a true picture of hyper grace! Elmalcar, I agree with some of what you are saying — yes, we do have a choice and a part to play but that is only after we know it deeply in our hearts that Jesus paid it all for us. We cannot and must not get the cart before the horse. However, one point of clarification: Born-again believers do not have a “sinful nature”. The New International Version Bible has mis-translated this. Our battle is not with a so-called “sinful nature”, but the flesh. And our flesh has been crucified with Jesus. We need to be more precise in our terms because words can liberate us and words can bind us. Good morning all, I have been looking to receive baptisim, what I am not interested in is being baptized in the religion I was raised in, Catholicism. My preference is to be baptized but not in the catholic church, for me there is too much dogma, ritual, and formality. There are plenty of churches in my city I suppose I could go to, however I am not familiar with them. The churches I asked about told me since I am gay I couldn’t be and elder or ever teach their bible classes to children. Their idea of who I am was not important as my focus and initial interest to be saved and baptized, to hear I am not worthy only to be relegated to their audience was disappointing to say the least. The bible indicates that we must accept the Lord Jesus Christ as our savior, believe and have faith in him four our slavation, be baptized and share the good news. The Lord Jesus Christ is my Lord and Savior and I have accepted him into my life. I have asked some folks I respect who are followers of Jesus Christ and one of them for instance suggested I find a church and talk to the pastor/preacher to get information on “classes” to get an idea of where my spirituality is. When I mentioned Jesus found John The Baptist in the river baptizing people, John told Jesus he was not worthy of baptizing Jesus, I was Jesus is the big guy, he can do what ever he wants. The question was asked of me, “why do you want to be baptized, what is your motivation?” My answer was to be saved with the idea of being cleansed and to spread the gospel. Hence was the suggestion to contact a pastor/preacher to find out where my spirituality is then grow in the spirit from there. There are so many different ways by others who suggest to do this or do that. From the readings in the bible, specifically the new testiment I have not found anything that indicates I need to take a class or join a church. Please help give me clarity. The Bible tells us that,as believers,we ARE priests and kings. Go to a river with anyone who has received the gift and have that person baptize you. Take as many believers with you as you can as witnesses. How is it right for that person to baptize you? Because,in Christ,that person is a priest. It’s far too common for Christians to disqualify other people from receiving the gifts and healings that all believers qualify for simply by BEING sons and daughters of Abraham. Who does the Bible tell us Jesus died for? The UNGODLY. If you are ungodly,you qualify. It turns out that this is what qualifies all of us. Jesus died Once for All. Never let anyone disqualify you from your Fathers gifts. In Jesus’ name. Amen! Thank you Mark Hritz for your response, the catholicism instilled and all the judgement and ritual takes over when I am not sure, Thank you for reminding me that I am a child of God, that baptism is for anyone and everyone who believes in Jesus Christ! Amen! Thank you.